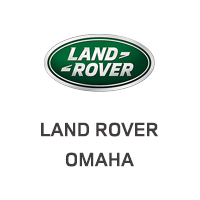 Land Rover Omaha has a great selection of pre-owned vehicles. Welcome to Land Rover Omaha serving drivers throughout Nebraska, Iowa, and South Dakota in places like Lincoln, Grand Island, Council Bluffs, Sioux City, and Dakota Dunes. Our family-owned and operated business has a full stock of new Land Rover SUVs like the Land Rover Range Rover and Land Rover Range Rover Evoque, as well as a wide selection of pre-owned models. At Land Rover Omaha, you’re sure to find the Land Rover luxury SUV you’re looking for, and we’ll help you drive it home as quickly as possible with the help of our sales team and finance department. Whether you’re looking for a low APR rate or an affordable lease, we’ll help find a plan that meets your needs. And while you’re at it, don’t forget to check out our current new vehicle specials for some great deals on premium models. You’ll also get the maintenance and repairs your vehicle requires at our Land Rover service department. That’s because we’ve stocked our garage full of state-of-the-art equipment and hired a team of factory-trained and certified technicians to handle every job from oil changes and tire replacements to major auto repairs. We even offer a Land Rover pre-paid maintenance plan that covers things like oil and filter changes, tire replacements, inspections, and much more. Get everything you’re looking for in a premium luxury SUV along with top-notch services at Land Rover Omaha. We’re ready to help you out at 716 N. 102nd St in Omaha, NE. Don’t hesitate to contact us anytime!